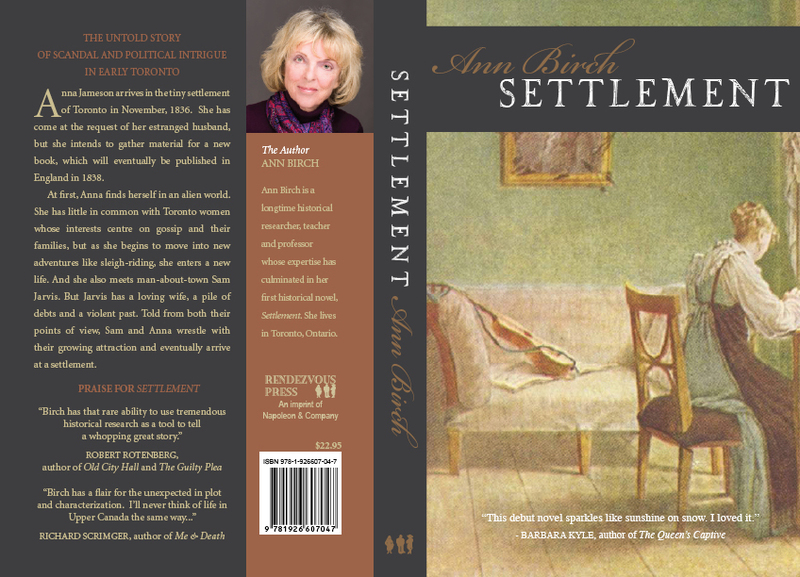 Ann Birch’s novel Settlement (Dundurn) provides readers with a story of scandal and political intrigue in early Toronto. English writer Anna Jameson arrives in the tiny settlement in November 1836. She finds herself in an alien world with women whose interests centre on gossip and their families. But as she begins to move into new adventures like sleigh-riding, she enters a new life. She also meets man-about-town Sam Jarvis (after whom Jarvis Street is named). But Jarvis has a loving wife, a pile of debts and a violent past. The story relates Anna and Sam’s growing attraction to each other and the settlement they finally reach. 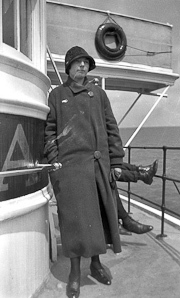 Ann Birch will talk about her book at a meeting of the West Toronto Junction Historical Society on Thursday, February 2, 2011. She will offer a questionnaire on some of the research she had to do, and there will be a free copy of her novel for the winner.